Opening the show at the constantly improving Blue Moon venue room was local singer/songwriter/guitarist Claudia McKenzie, otherwise known as I,Claudia, with a set of uplifting and varied tracks, based on her own experiences and anecdotes. Best of these was the blues of ‘Rain Down Hell’ though she can soon lighten the mood with the start-stop pace of ‘Staying In Tonight’. Last seen playing outside at a freezing cold Mill Road Winter Fair, Louise Eatock, better known as Flaming June played a short selection of her extensive back catalogue of powerful folk tunes, tonight joined on stage by violin and cajon to add extra pulsing rhythm and soaring melody to her timeless lyrics. ‘Little Love In A Cruel World’ and ‘Wednesdays & Weekends’ sounded as good as ever, with final track ‘The Deviling Kind’ neatly weaving a sinister lyric around an irresistible instrumental backing. Gavin Chappell-Bates has spent many months crafting the rare treat these days of a ‘concept album’, and tonight he played it in full. It is an ambitious theme; whereas Stevie Wonder’s ‘Songs In The Key Of Life’ attempted to describe the spectrum of all human existence, Gavin details the build up and consequences of the end of the world for an individual who literally becomes ‘The Last One’. It may sound a bit of a grim prospect but the music is generally uplifting and as he explains, the message to take away is that we should appreciate what we have and live in the moment. The first optimistic songs are full of memories of growing up; the gradual building of musical layers in ‘The Philosopher’, the spirited romp of ‘Lovely Day’, ‘Young Lovers’ with its catchy hookline and a tribute to ‘Mother’. ‘Bad Faith/Good Faith’ sees an edgier tension across the lyric, but with another potent hook. The recorded versions of some of the tracks feature strings and keyboards, but they are not missed tonight; Gavin’s specially assembled band (The Singing Trees) have a life of their own with solid bass, 12-string electric and sparky drumming supporting his own guitars and harmonica. ‘Do What You Like’ is a topical and bitter summary of human disregard for the planet and as a consequence Armageddon arrives in my favourite track on the album ‘The Last One’……after all if the world is going to end it is good to set it to a 70s glam rock shouter, much enjoyed by the audience. ‘Cinematic Memories’ and ‘The Sanctuary Of Stars’ are moving and thoughtful big ballads, then guitar-led rocker ‘This Is It’ brings the album to a close; no triple gatefold concept excesses here, it is all very much to the point. A quick cover of REM’s ‘It’s The End Of The World As We Know It’ was followed by final encore of Gavin’s older single ‘We Are The Ones’ and left us feeling fine. Well played Gavin and the band. A triumph! 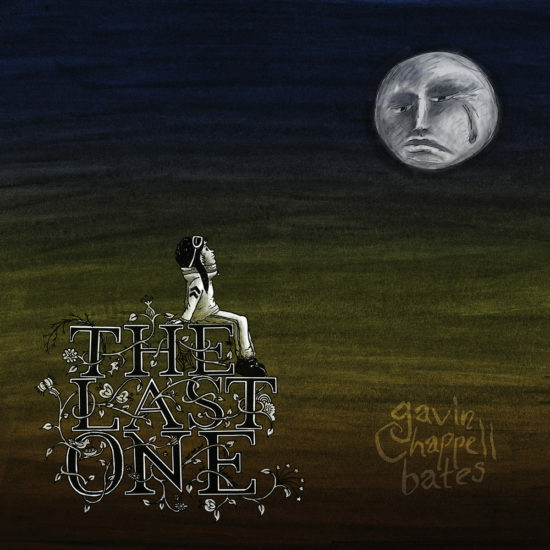 This entry was posted in Music and tagged album launch, Blue Moon, Cambridge, Flaming June, Gavin Chappell-Bates, I Claudia, live, LP, review, The Last One on March 26, 2018 by iknoweno.